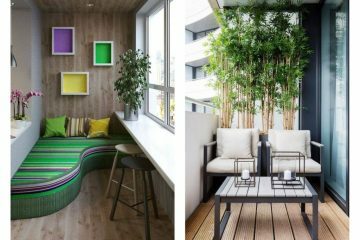 When you have chosen the best design for your house place, probably you think that now you have finished with everything. But WAIT A MINUTE! 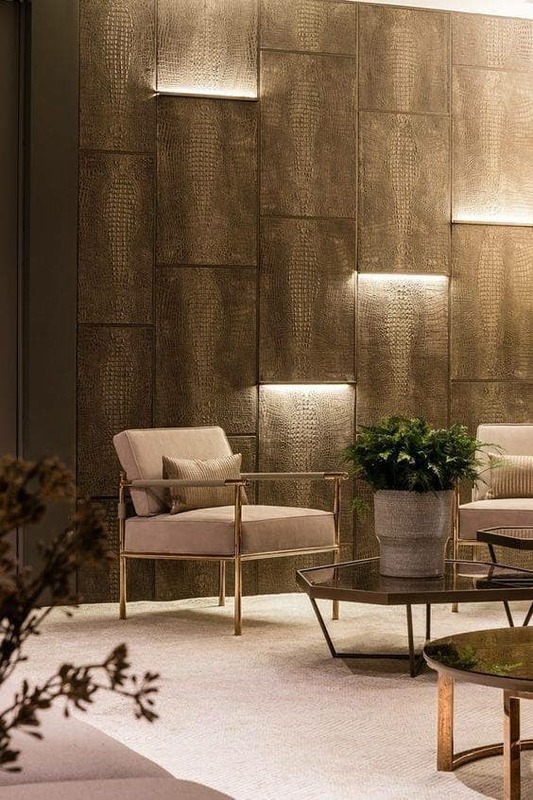 Have you chosen the best light fixtures for the walls? 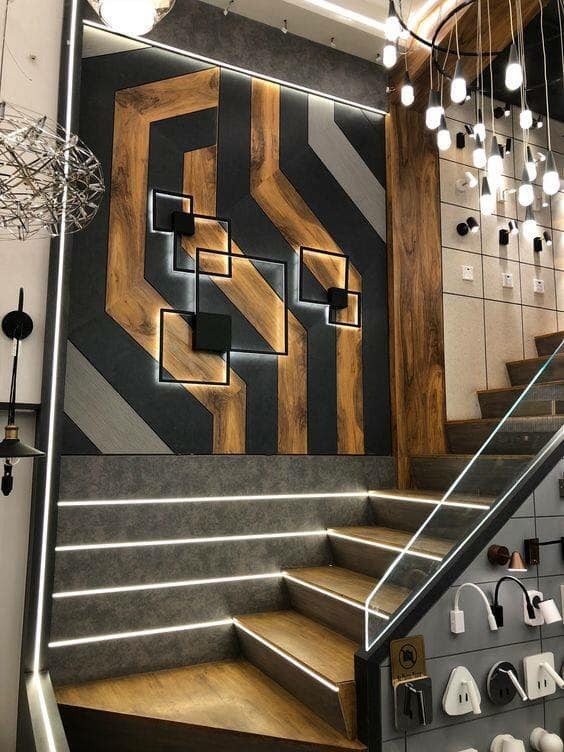 If you are still looking for lighting ideas, check our lighting walls with different details that you will see if just scroll down!!! 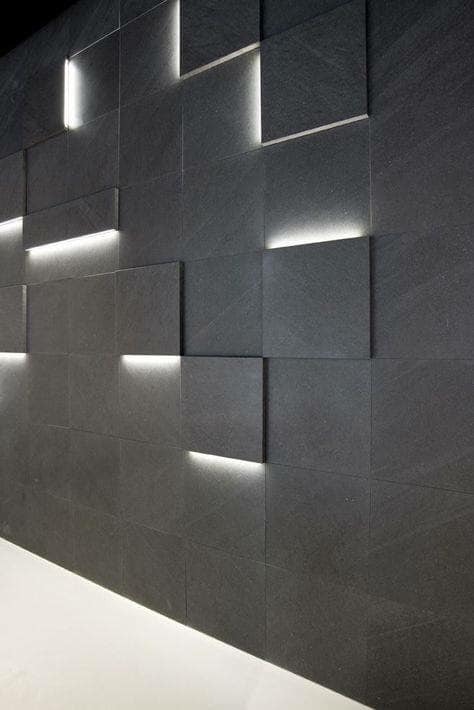 You can have hidden LED lighting wall squares for romantic and modern look to the house walls. but, if you want to have full lighting in the place you can also choose modern hanging chandelier like this in the photo and now the lighting will be magnificent! Creative idea to give the entryway stairs a lovely look and romantic light. Please, check the photo htat will help you to make your home the place to be. 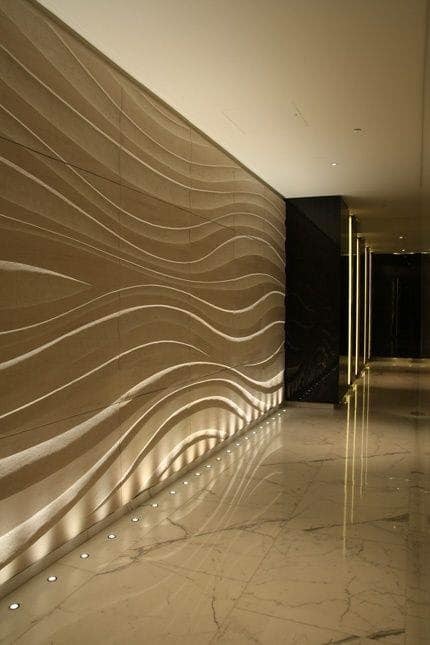 Floor recessed lighting with combination of LED wall lighting will give your house a walls to remember. Amazing idea to use different colour of the lights for the wall circles. Motivate yourslf in the photo now. 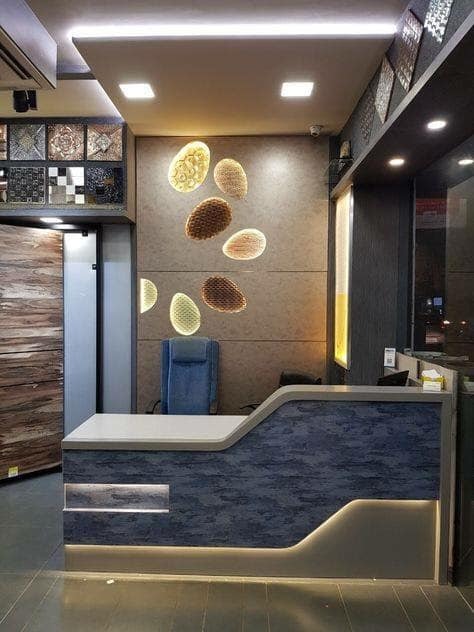 Recently, we had a post about the use of the CNC for the ceiling design and now you have the chance to see how it looks with combination with lights. See this photo and find out how great looks the plants wit the lighting fixtures in the photo here. 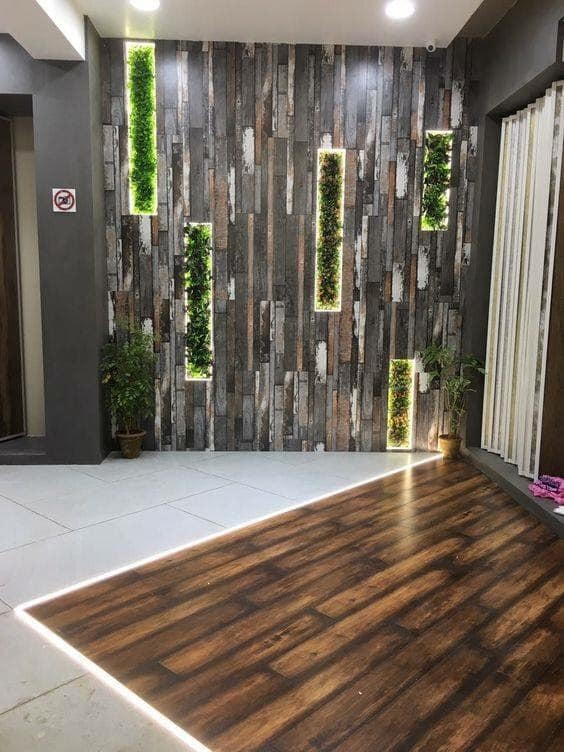 Check the photo now and think if you are about to have indoor vertical garden and lights. 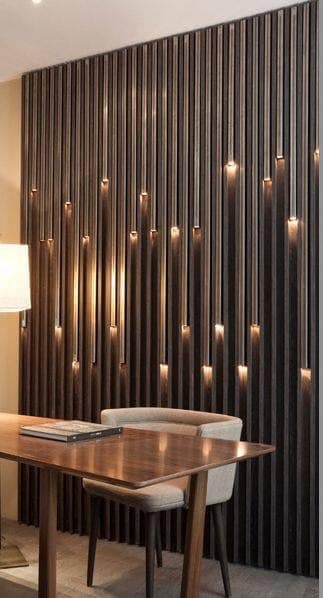 Hidden LED light fixtures looks great in the dining room, kitchen ,bedroom ,living room or any other room of the house or of the office. Inspire yourself in the photo now. 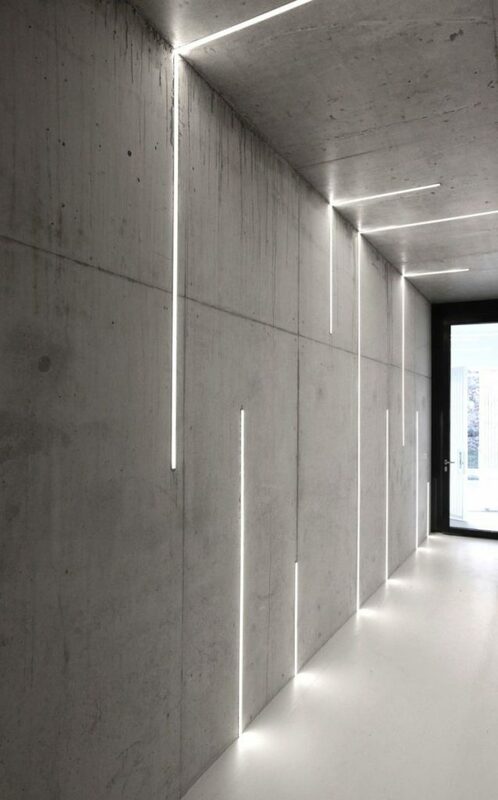 Tracking wall lighting idea is something extra good for modern people. If you share the same opinion with me, share the ideas with friends and inspire them in he same way as we inspired you! LED lighting is always the best option for one home. 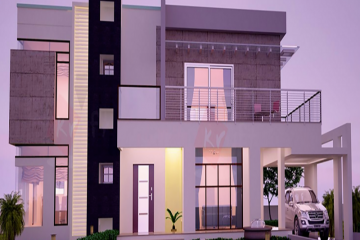 It help you to save on energy and also to keep the modern look of the house. 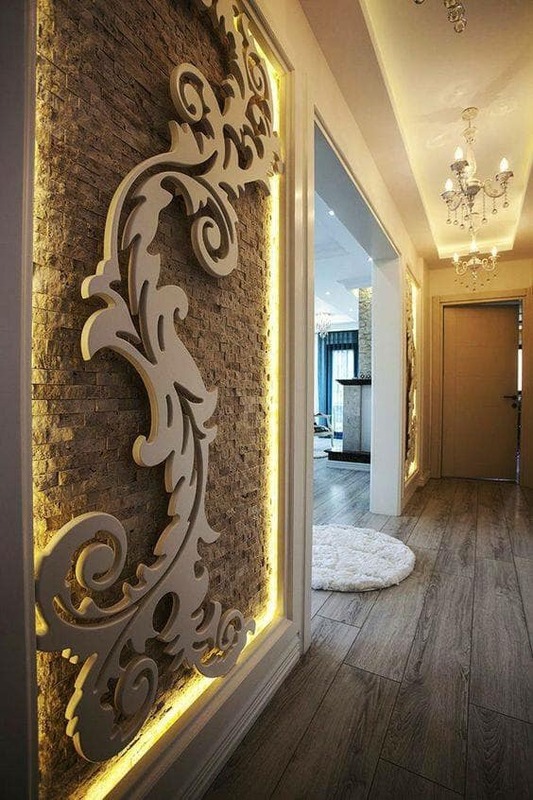 Creative idea for an entryway place or perfect idea for a factory, office entryway, etc. You will see in the photo interesting way to enlight the place without giving an accent o the lights, but in other way, to hide it. 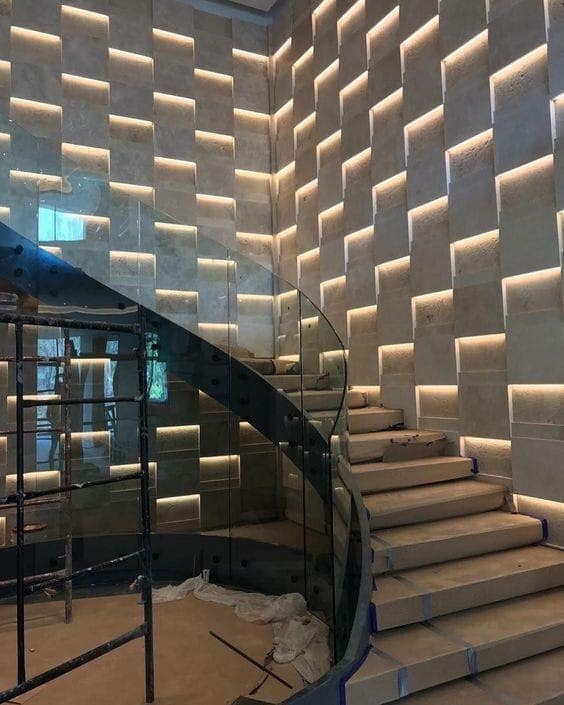 Well, this is the end of this post and the ideas that we chose about the hidden lights of the house walls. If you also want to see about the hidden doors this time, please follow this link that will take you to our amazing website! Thank you so much!